Note: Through November and December, I’m going to help you and your agents with your 2018 business plans. You’ll find free documents from my online business planning system for agents and ownersA�and an invitation to a complimentary webinar. Why not subscribe to my blogs and be sure not to miss a thing? Yes, I know. Wea��re supposed to have our business plans all done and ready to goA�priorA�to the New Year. But, in addition, how do we make them realistic? How do we make them action road maps? Note: Check out my free business planning webinar (see below) AND grab the free handout–my flowchart of the owner/manager planning process. Have you thought about how your agent plans impact your office plan? Unfortunately, most planning systems treat these plans as separate. Actually, they need to be integrated. Why? Because the total of the agents’ plans goals are YOUR goals too! 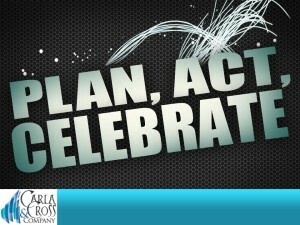 Take these four steps to get that business plan finished and implemented with real action steps byA�January first. Meet with each of your agents and assure each has a plan. Capture the goals of each of your agents: listings, listings sold, and sales. Now, add a dash of realism. Ask yourself, a�?Based on what the agent accomplished last year, are his/her goals realistic for this year?a�? Then, make any adjustments you think need to be made. Add your agentsa�� adjusted goals in each of the three areas. Those sums are your office business plan objectives. Why? Because your agents are the ones who actually create the listings, listings sold, and sales. Decide, in each of the action areas below, the actions you will take to assure you reach the office goals, which are a summary of your agentsa�� goals. 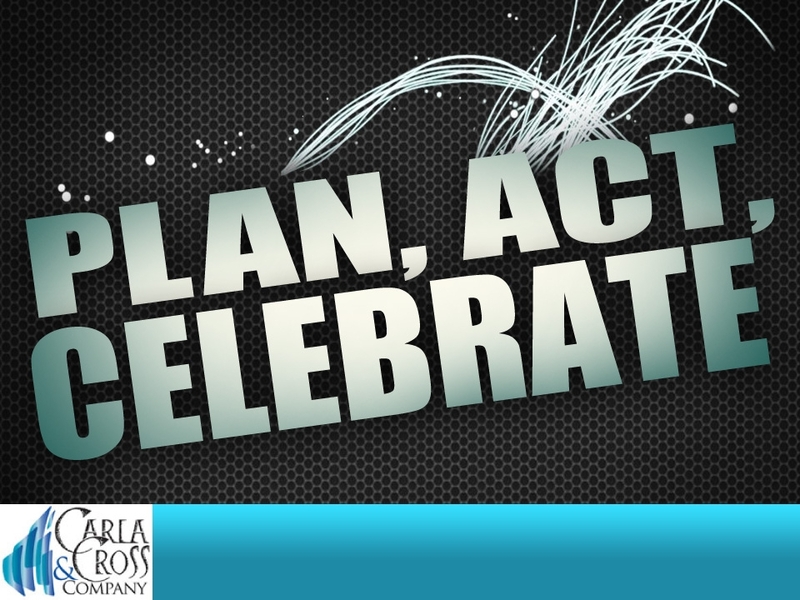 Create action plans in these six areas. Using these divisions, youa��ll assure that you cover all the bases. For a flow chart of the leadership business plan in this blog, including these six action areas, excerpted fromA�Beyond the Basics of Business Planning,A�click here. Listen/look at the free webinarA�I’m doing Nov. 29 or Dec. 6 (you pick the best date for you and invite all your agents!). Click here for more information and registration. Presenters: Ready to Do a Webinar? Expand your Horizons! 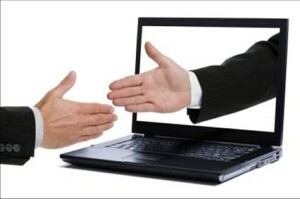 Presenters: Is there a webinar in your future? This month, I featuring training. about them. Here goes. Enjoy! Change peoplea��s behaviorA�(ita��s not training. Ita��s education). Webinars are not the magic training bullet wea��ve wished for. There are limited objectives you can accomplish by doing a webinar. (Wea��ll investigate this more later). Which company will you use to deliver your webinar? There are over 100 companies today offering some type of a�?screen sharinga��. They range from free to $100+ a month. The free versions companies tout are for a limited number of viewers (usually 5-10). After that, figure on paying for the services. Among the most popular services are GoTo Meeting, WebEx, and BrightTalk. Whatever you choose, pick a service that will be easy for you! Getting caught in the technicalities while you are trying to be a sparkling presenter is death by webinar. Decide on your topic. Is it something that would lend itself to a webinar? To find out, study webinars you’ve attended. Do some seem too wishy-washy to have been worth your time? Are some so full of facts and figures you snooze off? After Ia��ve written my objectives, I know the basic structure of my webinar. I can prioritize those objectives and start arranging my webinar in the right presentation order. Your Topic: Overview or Detailed? Is your topic an overview, or is it more detailed? Decide on the scope of your topic, and your objectives, before going further. Common webinar mistake: Either being so a�?globala�� there is little information, or being so detailed you lose the audience in facts and figures. After deciding on your desired delivery company, and drafting your topic and objectives, you’re ready for the next step. In the next blog, we’ll discuss best presentation methods–and common presentation mistakes. 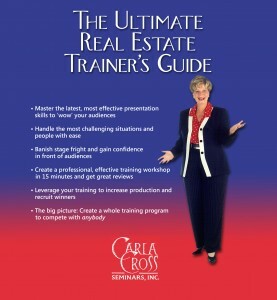 To get more information on creating courses with objectives, seeA�The Ultimate Real Estate Trainera��s Guide.A�Not only for real estate presenters, this guide provides a step-by-step process for putting together a presentation (not just webinars), and dozens of presentation tips.